2. Puree first 6 ingredients in a food processor or a food mill. 3. Add the flour and fold in. 4. Wet hands and mold salmon mixture to a ball and flatten. 5. Spray a non stick pan or an aluminum pan with pam or canola spray. 6. 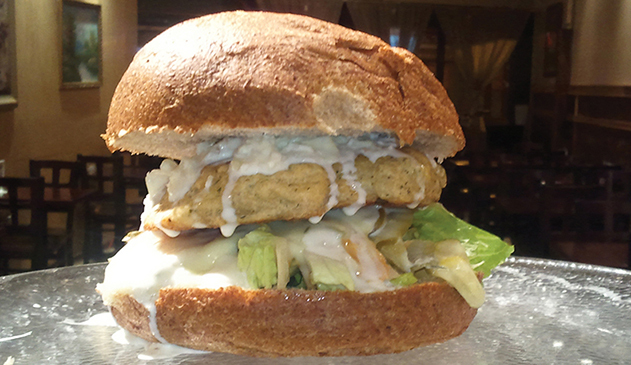 Place the ready salmon burger on the pan and bake until both sides are brown or to 165F degree.